This week the Parasha of Shemot שמות is read. It is also the name of the second of the 5 Books of Moshe or Chumash as it is referred to in Hebrew. The essence of this Book and Parasha is Redemption. To truly understand redemption we must understand something else called Shovavim שובבים! There are 3 time periods that cross the energy barrier of months. (Each Hebrew month is its own unique energy. For a time period to cross over the energy of one month into another is very unusual.) They are 1) the Omer which crosses Nissan, Iyar, and Sivan; 2) the 3 Weeks period which crosses Tammuz and Av; and 3) Shovavim which crosses Tevet, Shvat and in leap years Adar as well. This is a leap year for your information. The first 2 are considered negative periods. Shovavim is not considered a negative period; in fact it is almost not considered at all, as most Rabbi's do not teach about it and usually do not even mention it. Rabbi Ashlag teaches that the way to know if something is important in the process of correction (Tikune) is to see what the majority of the Jewish people do. He says if the majority do a spiritual ritual like Chanuka or Yom Kippur than it is not the most important. When no one is doing a specific ritual than this is the most important. Shovavim in my opinion is the most important spiritual ritual of the year. That does not mean that the other rituals are not important only that it is highly recommended that someone does some if not all of the recommended rituals of this period. What is Shovavim? It is an acronym that uses the first letter of the names of the next 6 Parashiot. It starts with the Parasha Shemot, then Va'era, then Bo, then Beshalach, then Yitro, and then Mishpatim. During leap years the Minhag or custom is to add the next 2 weeks as well, although the name of the period Shovavim does not change. All 6 (8 during leap years) of these weekly Parashiot deal with 1 subject. The subject is REDEMPTION. This is the most important aspect in the Jewish year. It is so important that we read about it for 6 weeks, then we have a few weeks while we connect with the manifestation of Redemption called Purim and then we go right back into preparations for the Redemption on the physical level. This is called Pesach or Passover. All of this deals with redemption. The cause of redemption is Tshuvah. When each of us does Tshuvah for the actions that cause exile, then we merit Redemption. That is what Shovavim is all about. There is only one ritual recommended although there are various rituals that are suggested as part of that ritual. The recommendation is to do Tshuvah! The Ari says to do Tshuvah for sexual sins but he is saying this is a correction for the Sephirot of Yesod. All blessings flow through Yesod. Yesod is also where the actions that block the flow of Blessings sits as well. And therefore Yesod includes all negative actions that create blockages to this flow of HaShem's beneficence to our physical world and to your life as well. Therefore, if you have lack in your life in any area this is the time to do Tshuvah. Do you lack Parnassah? Ultimately, all of these lacks and blockages come from the idea of exile from the Light (Creator). Do Tshuvah durring this period. Do you lack a good marriage or children? Do Tshuvah during this period. Do you lack Health? Do Tshuvah during this perod. Whatever area you consider lacking, now is a good time to do Tshuvah to restore the flow through Yesod. For additional information about Shovavim read the email from 5769 on Shmot. The link is on the left above this location. For additional informaton about Tshuvah please listen to recordings about Tshuvah. One final comment about Tshuvah and Shovavim. Most people are aware that the the time to do Tshuvah is the month of Elul prior to the High Holidays. This is because during Elul the cosmos supports your Tshuvah. During Shovavaim, the cosmos supports your Tshuvah as well but in a different more elevated way. Tshuvah is going back . . . and changing our actions, so that when we return to the present, it is a changed present. . . a present that does not have the previous negative action any longer. That is why we do Tshuvah during the period of Shovavim. When we are redeemed, we eliminate exile and no longer experience any lacks in our life. All lacks come from the actions we did that created a separation from the Light. This is called exile. Exile is being separated from the Light. Redemption is being reconnected to the Light which represents total fulfillment. Here is a link for a cartoon summary of the Parasha! We hope you enjoy it. Exodus Chapter 1 Verse 1 to Chapter 6 Verse 1. There are 124 Verses which is, according to gematria, Koof Caf Dalet קכד. This can be permutated to קדך which means "your bowing or bending" and in another permutation means like a bend. The code phrases are ויקח and מעדי. The first means "And he takes" referring to Hashem taking the Children of Israel out of Egypt (the redemption). The latter translates as "my lapse or error". This refers to the Golden Calf which story is told in this Book of Shemot (Exodus). Maftir: Chapter 5 Verses 22 and 23 and also Chapter 6 Verse 1. There are 3 verses and is 1 space in the Maftir. Spaces: There are 6 spaces in the Parasha. This connects to the 6 Parashiot in the period of Shovavim. Remember Shovavim means unruly child. Which helps understand the incident of the Golden Calf. Sephardim : Jeremiah Chapter 1 Verse 1 to Chapter 2 Verse 3. This is a total of 22 verses and 5 spaces. Ashkenazim: Isaiah Chapter 27 Verse 6 to Chapter 28 Verse 13 plus Chapter 29 Verses 22 and 23. This is a total of 23 verses and 8 spaces. The physical explanation of the added last 2 verses is "we do not like to end a Haftara on a negative note". For a spiritual explanation see below. In the parasha there is 1. It is at Chapter 4 Verse 2. the word is written Mazeh מזה (as one word), and spoken Mah Zeh מה זה (as two words). The written means "From this" the spoken means "What is this?" The item that "this" refers to is the staff that Moshe received from HaShem. This staff (according to the Midrash) is a special staff. On one side was written the 72 Names and on the other side was written the 42 letter Name which we know as the Ana Bekoach. In the Haftara there are no words written differently than they are spoken. This is true in both Sephardic and Ashkenazic readings. Columns: All columns start with a Vav. There are at total of 6 columns in this reading 4 full columns and 2 partial columns. On the physical, both the readings refer to the redemption from Egypt. Both Prophecies refer to the end times when the Children of Israel will be returned to the Land. In the Ashkenazi Haftara the last 2 verses are referring to the redemption of different levels of consciousness which we call Jew, Israeli, and Hebrew. (A Jew is someone who opens the door to the spiritual world; An Israeli is someone who wrestles with God; A Hebrew is someone who "crosses over" - this means someone who makes connection with the spiritual entities who inhabit the spiritual worlds) This is the spiritual reason for the appearance of the additional last 2 Verses. English:Israel is the LORD'S hallowed portion, His first-fruits of the increase; all that devour him shall be held guilty, evil shall come upon them, saith the LORD. For your information, the English translation of the word Na-um as "say" is incorrect. The word means "to adorn or glorify" This prophecy is promising punishment to those who harm the Children of Israel as an adornment or glorification of Hashem. The one question people should ask and don't is Why are the readings different? In my opinion the redemption of Sephardim and Ashkenazim will be different. Do not misunderstand me, please. Remember what it means to be Sephardic and what it means to be Ashkenazi that i mentioned in the Beraishit email this year. Sephardic means to "put the Samech (Sod or secrets) first while the Ashkenazic comes from a root word dealing with hateful people. This does not apply to the way we refer to people today. The message in the two Prophecies, in my opinion, are dealing with the way the redemptions will take place for people who study Kabbalah and those who don't. In the Parasha, there are many verses that raise questions. Lets look at one of the more perplexing stories in this Parasha. It is the story of Hashem trying to kill Moshe and Tzipporeh saving his life. The story is at Chapter 4 Verses 24, 25, and 26. I am going to use this story as an example of how we learn from the midrash that helps us make sense of the written Torah. Does it make sense that HaShem wants to kill Moshe? What is the meaning of "Bridegroom of blood"? Whose feet did she throw the "removed foreskin"? These are just a few of the questions to ask about these verses! The midrash which are stories written by the Sages while under the influence of Ruach HaKodesh (Holy Spirit - a personal connection with Hashem) comes and explains that the Satan was given permission by Hashem to attack Moshe because at his level of Righteousness he should have known "do not delay the Brit of your new born son". Moshe knew that his new born son needed to do a Brit Milah. He also knew that traveling to Egypt would endanger the babies life if he would undergo the Brit Milah. So he decided to delay the Brit until after he arrived in Egypt. What did he do wrong? Moshe has a unique relationship with HaShem. Hashem speaks to Moshe. Moshe did not ask the creator what to do. This was the mistake and at his level of consciousness it was the wrong action to take. That is why the snake came into the life of Moshe,Tzipporah and the baby. The midrash continues to explain that the Satan appeared to Moshe and Tzipporah as a large snake. This snake swallowed Moshe from his feet to his groin. Then he (Satan) released Moshe and attacked again swallowing Moshe from the head to the groin. Tzipporah realized that they had not done the Brit because they were traveling to Egypt but they could have done it when they stayed over at the inn or lodge. She realized this and performed the Brit Milah on her son and threw it (foreskin) at the feet of Satan who then released Moshe by order of Hashem. Now what do we learn about the spiritual system from this story? One thing is about balancing Mitzvoth and determining what is more important to do a Mitzvah that saves a life or one that is a less grand experience. 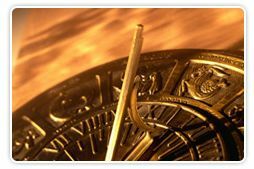 We learn that all Mitzvoth are important to do; yet sometimes we are not able to do all the Mitzvoth at the correct time. How do we balance this appearance of conflict? Ask HaShem what to do; Do not determine what to do by what you think is correct! Another thing we learn, before a redemption happens in our life we must undergo a test to determine if we have the merit to receive the redemption. How do we prepare for these tests? The study of Kabbalah! Is that the only way or is there another way? Of course there is another way, yet it is a longer path filled with more pain and suffering. Do you want your redemption? Prepare for the test by doing Tshuvah. Utilize the Shovavaim period to do Thsuvah and achieve redemption from exile. What does your personal redemption look like? Is it a better job? Is it more children in your life: Is it healing? Is it Happiness and Joy? Personal redemption means your life fulfillment and freedom from lack! Do you want your redemption? Not everyone wants redemption. Why? Because redemption always means a test. Some people like remaining in their comfort zone. They like remaining at the same level of consciousness. Choosing to remain at the same level of consciousness means more pain and suffering. HaShem wants to give you more! Why won't you receive it? What are you doing to prepare yourself for the test? Please try the spiritual actions of Shovavim. Fasting or donations in lieu of fasting to a truly poor person . Do you know what you are doing this coming Monday? Are you fasting? Or are you going about business as usual. PLEASE DO NOT! Use the period of Shovavim to acheive redemption. Shovavim is Tshuvah! Tshuvah prepares you for the test! To paraphrase the song "Do you know the way to San Jose written by Burt Bacharat - "Do you know the way to Kabbalah"? It is right this way just follow the Torah up the stairs to the secrets!